Looking for innovative ideas and tips for using iPad in your class? 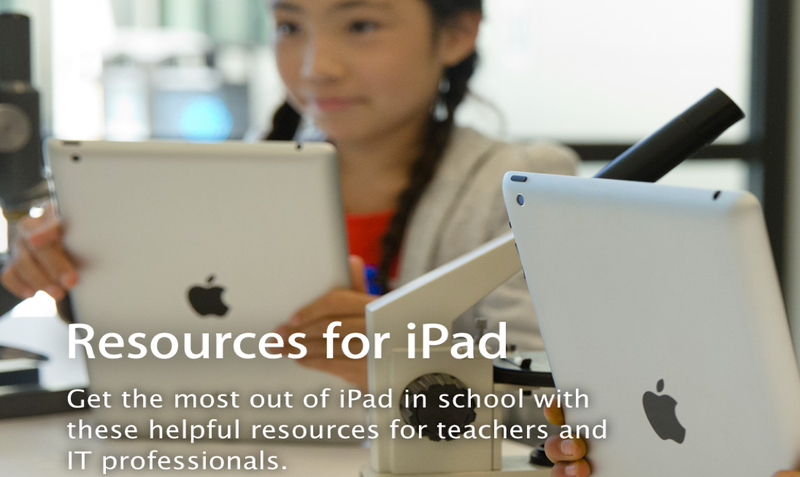 Apple's iPad in Education website is a good place to start with. The website offers a wide range of resources and materials to help teachers make the best use of iPad in education. It provides a ideas and tips on how to make your lessons more engaging, relevant and fun for students through the use of iPad apps. This section features some powerful iPad apps together with tips and instructions on how to use them with students. In this section, you will find links to pages where you can access and find curated popular educational apps organized by both subject and grade level. This is where you will get to see how teachers are using iPad and iTunes in the classroom to engage their students. There is also a section on teachers' stories where you can learn how other teachers have been using iPads to inspire their students and transform learning. This page contains some really great resources to help you tap into the educational potential of iPad in your classroom.